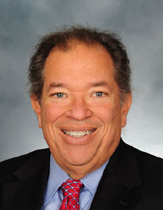 Dr. Charles Steinberg is the Boston Red Sox executive vice president and senior advisor to the president/CEO, as well as the president of the Pawtucket Red Sox. Charles Steinberg, “Dr. Charles”, has worked with the Red Sox for nearly 10 years, covering everything from public and community relations to market outreach and communications. He has notably served as a creative force in the franchise’s fan-friendly attitude, cultivating the passionate Red Sox Nation fan base, and helping to establish record-setting attendance. Steinberg is a veteran of 40 years in Major League Baseball, and has worked for Larry Lucchino with the Baltimore Orioles, San Diego Padres and Red Sox.